Sometimes when I’m logged into crafting groups for Silhouette and Cricut owners, it seems that all I see is images asking members to identify the font of a project they found online. 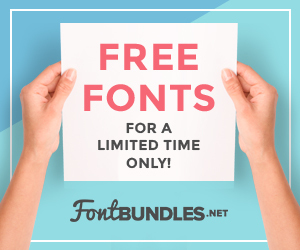 Today, I’m sharing some resources for you to find out fonts. These ‘matcherators’ use computer software to pair a picture of your font to fonts they have uploaded to their database. Each of the databases has different fonts loaded, so if one doesn’t work, try another. These websites ask you specific questions about fonts to help you identify them. WHAT FONT IS THIS? This group of 71K font enthusiasts is run by the team behind fontbundles.net. What font is this? A group of 17K font lovers ready to help you identify fonts. Remember, it’s great to be inspired by fonts you find in projects online to create your own project. However, it’s not a good idea (or even legal!) to copy a design you find online. Love this post? Save the image below to Pinterest. Nice collection of resources! I also suggest using tineye.com and google’s reverse image searches to find sources and even find better images to use with the apps or web sites.